You might have noticed a slight lapse in our activity so I thought I’d give a small explanation for what’s been happening. The Dallas Sound Machine has humbly grew in size in the past few months but we’ve decided its time to spread the love to all the Dallas ‘Burbs. One by one we’re ticking off the surrounding suburbs searching for ambassadors who can help represent our page, find new writers and local acts striving to build a stronger network of students passionate about music. At this point we have the McKinney Reps: Nick Simpson, Nat Byrd, and Brady Schroeder. Our Prosper Reps: McKinley Argyle and Georgia Lamb. As well as our newest addition, the Frisco Reps: Dylan Becker, Reid Stacy and Logan Culpepper. We are now in search of representatives in Allen, Plano and Lovejoy so if you or anyone you know is interested in being a part of our team DM us or text Brady @ 214-535-9566. With help from Groggy Dog, TDSM was able to get it first two orders of shirts out and delivered! With more than 50 shirts floating around the streets of Dallas (and beyond) we hope to continue our push for publicity, so if you or anyone you know is interested in a TDSM T-Shirt DM us or text Brady @ 214-535-9566! The Dallas Sound Machine will be introducing two new features to the site coming this Fall! Led by Georgia Lamb, this section will feature local designers, Student-Styles/Outfits-Of-The-Day, runway reviews and more to come! Led by Abney Garcia and Gabby Rogge, this section will feature photo galleries by local photographers, Photos-Of-The-Day, articles, interviews and more to come! 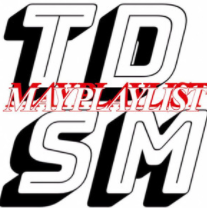 Although we may have taken a short break from articles and reviews, TDSM has been starting up some very exciting projects that we can’t wait to see take flight more so than they already have as well as resuming our regularly scheduled program. Have a good start to your school year, and don’t forget, we aren’t professionals, we are mostly comprised of high-school and college-age-kids, we are doing all of this out of passion for the content so be patient as every article editorial and t-shirt is delivered in our spare time, thanks!